Add all ingredients except tortillas and cheese. Bake for 35 minutes then enjoy. Something different for meals and to use tortillas. this will be a real hit in my house! Burritos are so versatile. Another grea idea for dinner time! 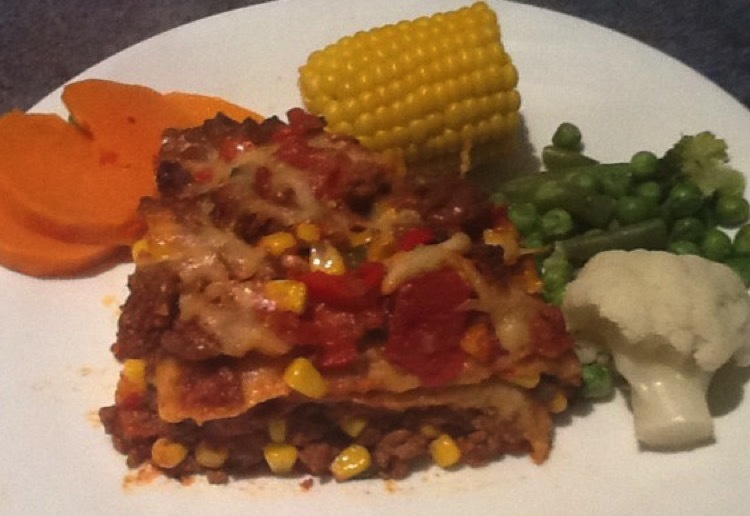 Yummy, yummy this burrito lasagne looks so tasty – thanks. Love the pops of colour on this plate – thanks. Your burrito lasagne look’s so delicious,thanks!